Alexandra Luyten, Akailah Fernando and Maelle Charette preparing for the Prendiville Gallery open day on Sunday. 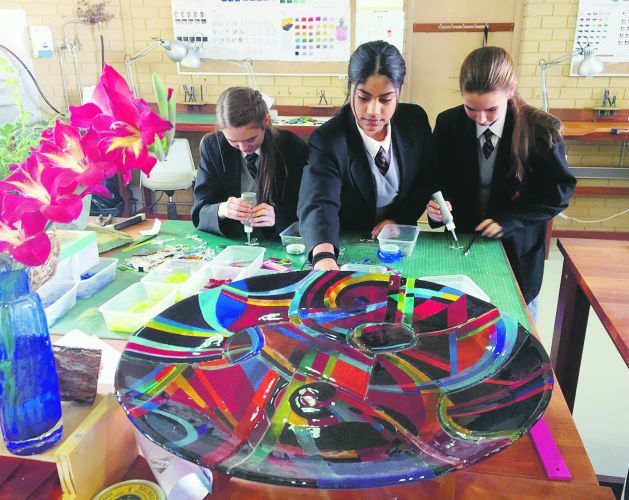 STEP back into the classroom this Sunday when Prendiville Catholic College hosts an open day. 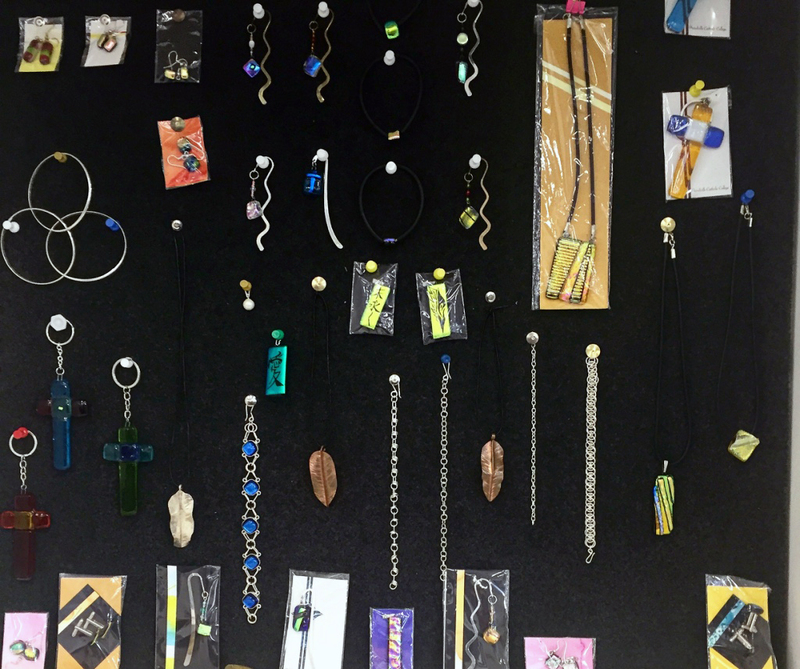 Members of the public are invited to the Ocean Reef school from 10am to 3pm to create a piece of fused glass jewellery. Students will be on hand to help cut and layer glass to fuse in the kilns. Work will be photographed before it’s fired and available for collection the following week. 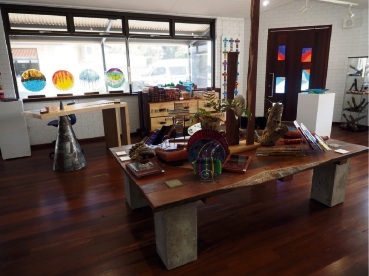 People can also tour the TIDE (technology, innovation, design and enterprise) studios where students work with fused glass, precious metals, wood and ceramics to create bespoke artworks and furniture with a focus on environmental sustainability. The Prendiville Gallery will also be open with hand-made artworks by students, staff and local artists on display and available for purchase. It is usually only open to the public from 8am to 4pm on weekdays during the school term.